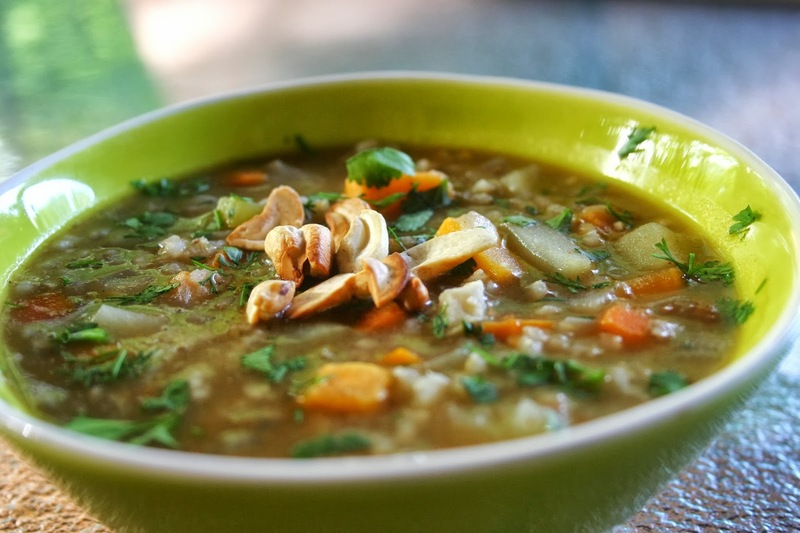 The origins of this Indian inspired soup comes from SRI LANKA (formerly Ceylon). Peasants would eat this soup with water and pepper. Decades later, more spices were added to what you see today. The name originates from the Tamil words millagai / milagu and thanni (மிளகாய்த்தண்ணி / மிளகுத்தண்ணி) and can be translated as “pepper-water”. Today, mulligatawny bears little resemblance to the original. 1. Melt butter in a large pot or Dutch oven over medium-high heat. 2. Add the onion, carrot, celery and jalapeno, then saute for 4 to 5 minutes, or until the onions have softened. 3. Add the garlic, ginger, apples, chicken and diced tomatoes to the pot. Saute for another 3 minutes, then add in all of the spices and toss to coat. 4. Add in the lentils and broth and let the contents come to a boil. Turn the heat down to medium-low and simmer uncovered for 30 minutes. 5. Puree about 75% of the ingredients using either an immersion blender or by transferring a portion of the contents to the bowl of a standard blender. 6. 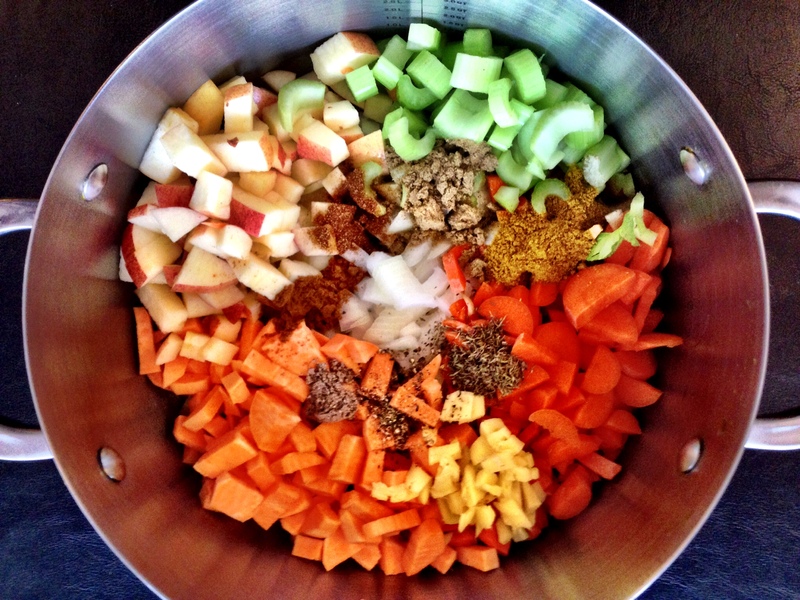 Leave some of the chunks whole, as it adds a nice texture and consistency to the soup. 7. Return the soup to the pot if needed, then stir in the coconut milk. 8. Taste, and adjust salt and black pepper as needed. 9. Serve topped with cashews and scallions along with naan bread for dipping. Elaine orders Mulligatawny soup at the Soup Natzi “No soup for you! This is a soup with many variations. A spicy, soup with huge flavor and usually includes beef, chicken or lamb. My version of Mulligatawny reminds me of the wonderful colours of Autumn. Apples and the lovely Indian blend of spices is heart warming. I use lentils for my soup. No lentils today? Use barley, rice, sweet potatoes or more onions. BTW, gram-for-gram, lentils have more protein than beef. You can add the chicken or not. It is optional. Tastes as good without it. 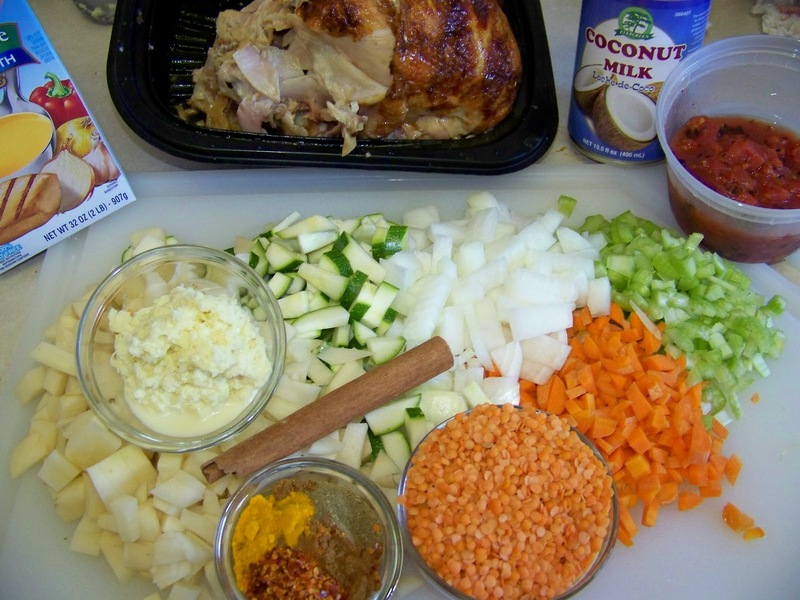 A great soup for leftover chicken or turkey! You can add the cooked ‘hot’ chicken to some bowls as requested and leave other bows as vegan -style. We don’t have to follow the recipe verbatim.